The 2013 film 'The Great Gatsby' now with an appropriate soundtrack and extended scenes. Create a version of the film that matches closer to its source material and keep the music consistent with the timeframe. 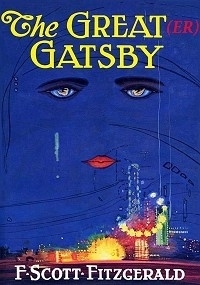 The Great Gatsby was a film that I enjoyed plenty more than most people, many found it boring and pointless but the film had me intrigued the entire time. I loved the cinematography, color grading, acting, narration, etc. The movie was quite fun and I liked almost everything about it except for some really weird choices made when it came to musical scoring. This edit pretty much fixes all of that. Visual editing was fine. The audio editing was superb, I don't know how the editor did it but somehow he managed to remove all of the crappy music and put in some proper fitting songs. My only complaint is that sometimes the music was too loud to hear the dialogue and I found myself fighting with the music to try and hear what the characters were saying. Overall, the edit was a lot of fun. I recommend it to anyone wanting to watch film whether or not they've seen it. Not many changes have been made other than deleted scenes and rescoring but it makes a huge difference.